Beer bottles with crowned caps crowd the conveyor belts of a filling plant in the Veltins brewery in Meschede-Grevenstein, western Germany, in January. 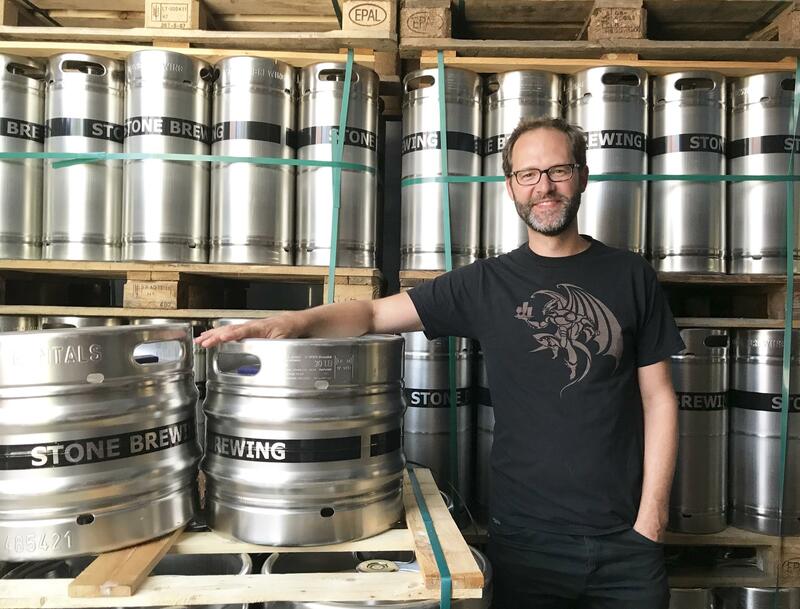 Thomas Tyrell is master brewer at Stone Brewing's Berlin plant. He says the biggest misconception about cans in Germany is that they're environmentally unfriendly, pointing out that their cans carry a deposit just like bottles. 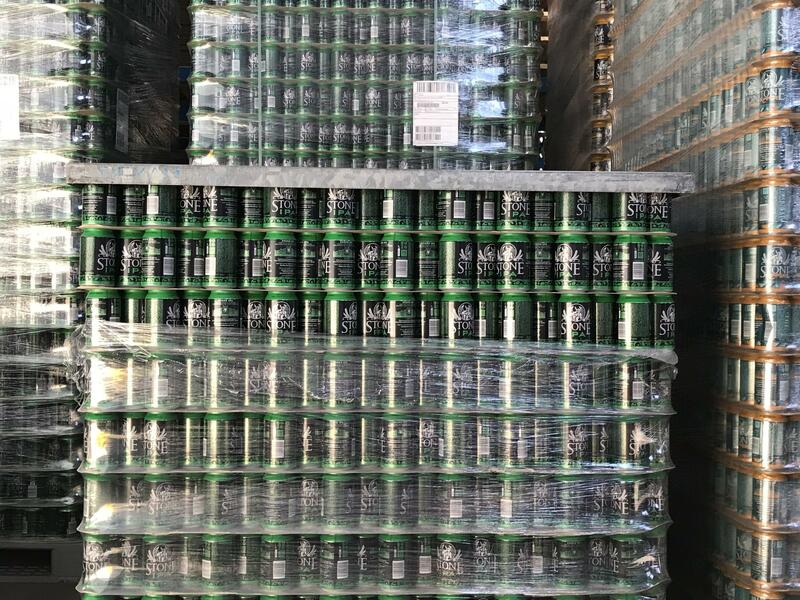 Beer cans packed up and ready to go at Stone Brewing in Berlin. Cans are a daring choice in Germany, where customers prefer to drink beer out of glass bottles. There are about 4 billion beer bottles in circulation somewhere in Germany, and each bottle is refilled up to 30 times, according to Inside magazine, which caters to the drink industry. But as Germans drink more in this heat, and empty bottles pile up by the back door at home, trouble is brewing for the beer-makers. Christian Schuster, from the Greif brewery in Bavaria, recently appealed to customers to return their crates of empty vessels promptly or go without beer. 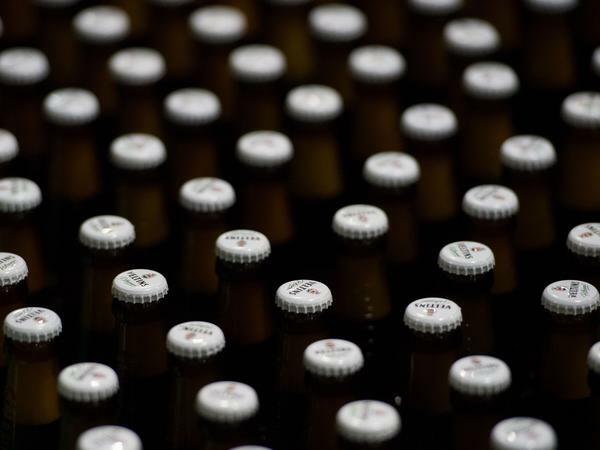 "We've had a beer bottle shortage since the middle of May," Schuster told public broadcaster Bayerische Rundfunk. "We can't get hold of used ones fast enough, and ordering new ones takes time. I'm having to send my delivery guys out to look for old, empty bottles," he stressed. Niklas Other, editor-in-chief of Inside, says Greif is not the only brewery caught short, but adds that many are reluctant to admit they've got a problem. "The issue is actually affecting the whole market, and some brands are unable to deliver," he says. Other says marketing departments are to blame for the, well, bottleneck. "Every city, even every village in Germany has its own brewery," he says. 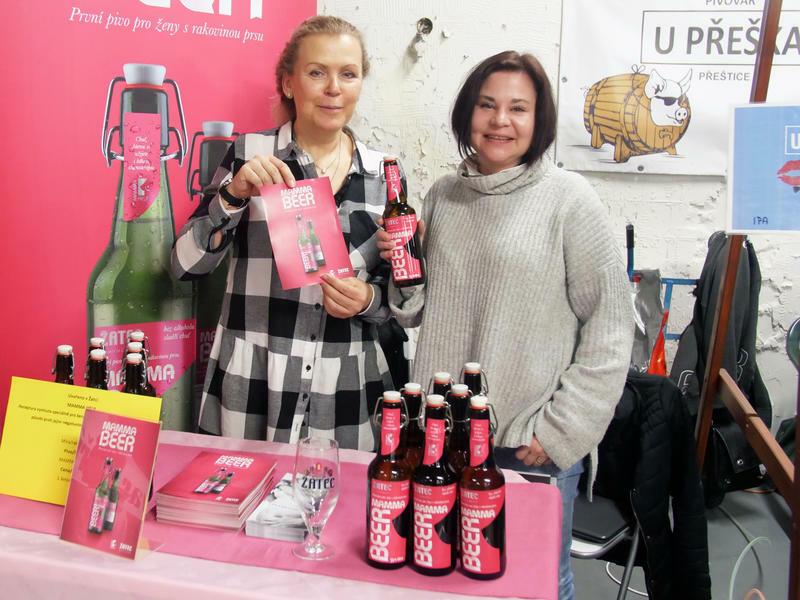 "They used to use and share the same bottles, just with different labels, but now many bottles and crates are different, branded to stand out from the rest. So they can't share." The Californian craft beer company Stone Brewing has found a solution. Its Berlin plant is selling its beer in cans. That's a daring choice in Germany, where drinking beer out of a can is often considered uncouth. Master brewer Thomas Tyrell says that when Stone opened its first European brewery in Berlin two years ago, they decided to ignore the German bottle trend and opt for cans instead. "We think it's best for the beer," Tyrell says, "because there is no light ingress and, over time, there are some oxygen permeations through the lid of a bottle, which the can doesn't have." Tyrell says the biggest misconception about cans in Germany is that they're environmentally unfriendly. He says this is wrong, pointing out that Stone Brewing cans also carry a deposit and that 98 percent get recycled. He adds that cans are easier than bottles when it comes to logistics, hence why they aren't caught short like other breweries. But recyclable cans make up only 7 percent of the German beer market, which is otherwise dominated by bottles. That's why bottle openers hang from hooks outside late-night kiosks where beer is sold in abundance. Thirty-year-old Marcel Hillebrand has just bought a beer from a kiosk in the trendy Berlin borough of Kreuzberg. He's heading over to the bridge to watch the sunset. When asked about cans, he raises his eyebrows. "I'll only drink beer out of can if there's no other alternative. A bottle is much more civilized," he says. "A can is ergonomically wrong and the beer warms up too quickly. But mainly it just looks cheap. Cheap and a bit trashy." But when it comes to real trash in the shape of empty bottles, this part of Berlin has a system in place. Georgi Valentin, 29, is an integral part of it. Valentin sings as he picks up empty beer bottles people have left out on the street or put in trash cans, instead of returning them to be recycled. He drops them into a shopping cart full to the brim with bottles. In broken German, Valentin explains that he's homeless and that collecting bottles in Berlin is better than returning to his native Romania. He picks up the deposit others pay for by returning their discarded bottles. The owner of the stall nearby approaches Valentin with a smile and hands him a crate. "This is my colleague," Valentin says, pointing to the kiosk owner. "He and his employees help me. Very good guys. I do this every day. I get about 7 euros for a full shopping cart of empty bottles." The 7-cent deposit on each beer bottle may not be motivation enough for some beer-drinkers this summer, but for people like Valentin, it's a lifeline. And thanks to him, there's no shortage of empty bottles at this kiosk. Germany, where beer consumption is up - beer consumption is up as temperatures remain unusually high. This is a climate change story in a sense, I suppose. 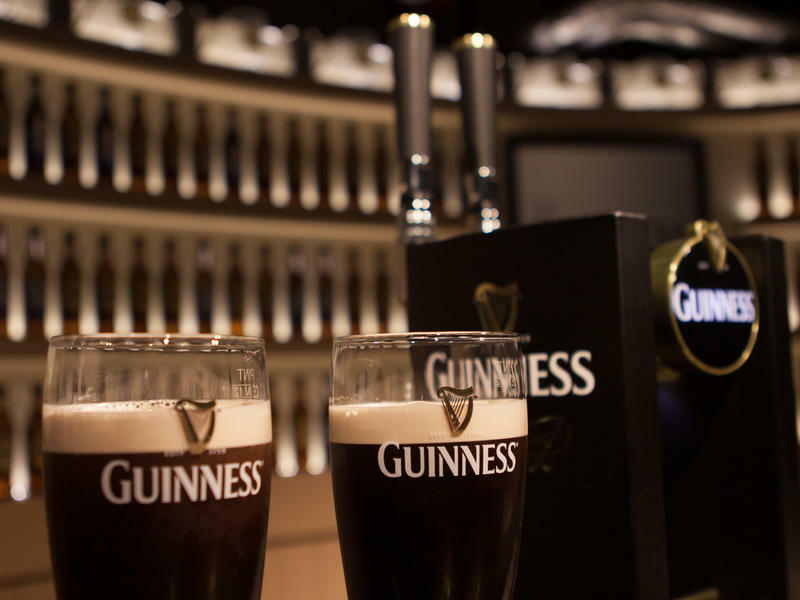 And it's good and bad news for the beer industry. While the breweries have more than enough beer to go around, they say they are running out of bottles because customers are not returning them quickly enough. Esme Nicholson has more. ESME NICHOLSON, BYLINE: Germans love the environment as much as they love their beer. That's why beer bottles are recycled here. There's a small deposit on each bottle, which customers get back when they return it to a store like this one. There are about 4 billion beer bottles circulating somewhere in Germany. But as Germans drink more and empties pile up, trouble is brewing for the beer-makers. CHRISTIAN SCHUSTER: (Through interpreter) We've had a beer bottle shortage since the middle of May. NICHOLSON: Christian Schuster of the Greif Brewery in Bavaria appeals to customers on public television. SCHUSTER: (Through interpreter) We can't get hold of used ones fast enough, and ordering new ones takes time. I'm having to send out my delivery guys out to look for empty bottles. NICHOLSON: Niklas Other, editor-in-chief of Inside, a drinks industry magazine, says marketing departments are to blame for the bottleneck. NIKLAS OTHER: (Through interpreter) Every city, even every village in Germany has its own brewery. They used to use and share the same bottles, just with different labels. But now many bottles and crates are different, branded to stand out from the rest. NICHOLSON: The Californian craft beer company Stone Brewing has found a solution. Their Berlin plant is selling its beer in cans. That's a daring choice in Germany. Drinking beer out of a can here is often considered uncouth. THOMAS TYRELL: Well, we think it's best for the beer because there's no light ingress. And over time, there's some oxygen oxy permeations through the lid of a bottle, which the can doesn't have. NICHOLSON: That's Thomas Tyrell, a master brewer for the Californian craft beer-makers. He says the biggest misconception about cans in Germany is that they're environmentally unfriendly. And he points out that their cans also carry a deposit. Recyclable cans only make up 7 percent of the German beer market, which is otherwise dominated by bottles. NICHOLSON: Like these ones being opened outside a kiosk in Kreuzberg. Thirty-year-old Marcel Hillebrand has just bought his second beer and, like everybody else, is heading to the bridge, beer in hand, to watch the sunset. MARCEL HILLEBRAND: (Through interpreter) I only drink beer out of a can if there's no other alternative. A bottle is much more civilized. A can is ergonomically wrong, and the beer warms up too quickly. But mainly, it just looks cheap, cheap and a bit trashy. NICHOLSON: When it comes to bottle trash, this part of Berlin has a system in place. GEORGI VALENTIN: (Singing in foreign language). NICHOLSON: Twenty-nine-year-old Georgi Valentin sings to himself as he drops discarded bottles into a shopping cart. In broken German, Valentin explains that he's homeless and that collecting bottles in Berlin is better than returning to his native Romania. As he speaks, the smiling kiosk owner hands him a crate for the empties. VALENTIN: (Through interpreter) These are my colleagues. They help me - very good guys. I do this every day. I get about 7 euros for a full shopping cart of empty bottles. NICHOLSON: The 7 cent deposit on each beer bottle may not be motivation enough for some beer drinkers this summer. But for people like Georgi Valentin, it's a lifeline. And thanks to him, there's no shortage of empty bottles at this kiosk. For NPR News, I'm Esme Nicholson in Berlin. (SOUNDBITE OF DINOSAUR JR. SONG, "PLANS") Transcript provided by NPR, Copyright NPR.